Snowdays! Yes, we take them! We can get pretty bogged down with school and life in the winter. You are either crazy busy, feel like you’re under house arrest or maybe just getting bored with the day-to-day. Do you take Snow Days? You know that time-honored and cherished tradition that we grew up with up? There is something to be said about them. Remember all of the fun you had when you found out that test you were going to take in the morning has now been put off due to snow? Not only did you gain a study day (maybe), but maybe your whole outlook changed because of snow. Remember all of the fun you had playing in the snow no matter what age you were? What were some of the things you did when you were surprised with a day off of school? Homeschoolers around my area (NC) are known for not taking snow days. I’m a rebel I guess in this area. Yes, I take snow days; at least once a year. That one day can sometimes totally change my kid’s attitudes and mine. They’re so excited to go out and have a good time. It also makes them feel like all of their other friends; makes them feel normal; especially when they hit middle school and high school. I may not take all of the snow days that the other schools do here, but we at least take one. The other days we try to get done as soon as we can or I school around when the best time to get outside will be. So, doesn’t that mean we have to double up lessons and make up those days. Of course! But we have the advantage. We can double up lessons, we can use a Saturday or if you plan your school year right from the beginning; plan some snow days or extra days into your school year and then you don’t have to take extra days. 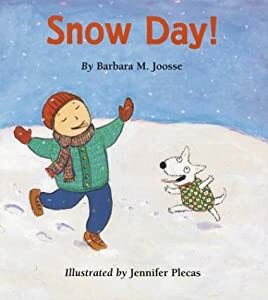 Take a snow day! You need a day to recharge and have some fun too and you and your kids will be better off for it. Check out My New Homeschool Planner! « Need a new Bible Reading Plan?